We wrote earlier this year about the growing impact of teams within the seemingly individual sport of triathlon. Few British athletes have been more closely associated with a triathlon team than the pairing of Stephen and Bella Bayliss, who have spent the past four years as part of renowned teamTBB (www.teamTBB.com), which has achieved so much success under the coaching guidance of Brett Sutton. 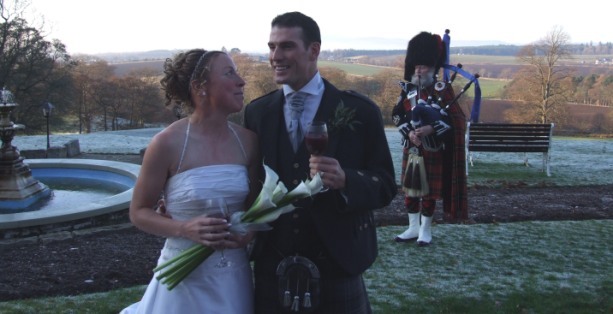 The couple, who married in November 2008 are however to leave teamTBB for the 2011 season, after four successful years as part of the squad to pursue new opportunities. Joining the squad at the end of 2006 during its formation as Stephen Bayliss and Bella Comerford, the couple married in November 2008. 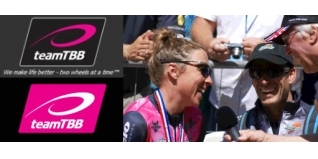 About the change, Bella commented "we have been very happy for the past four years to have been part of teamTBB and we may develop opportunities with teamTBB in due course, however for foreseeable future we will compete outside of teamTBB and target some different races." The past four years have been extremely successful for both Bella and Stephen. A quick look for example at our British ladies Ironman history article indicates that Bella has achieved 15 M-Dot Ironman podiums over the past four seasons alone, including eight full-distance Ironman wins plus Embrunman twice and UK Ironman 70.3 twice also. 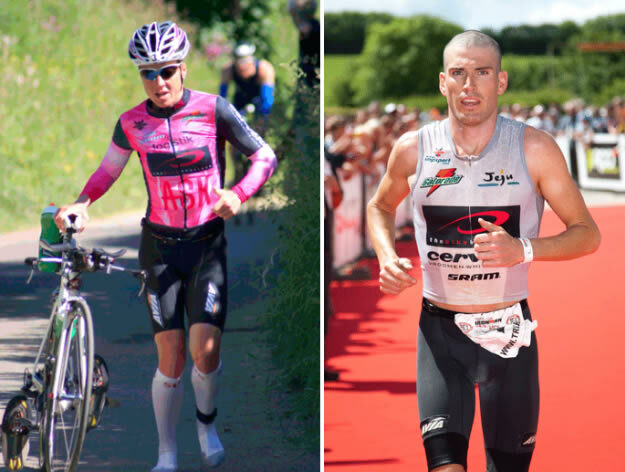 Stephen has achieved all seven of his Ironman podium finishes under the teamTBB banner, including his two wins - Ironman UK and Ironman South Africa, both in 2008 - where Bella was also the ladies winner at both races. While 2010 hasn't been quite as successful for the pairing, they did manage to secure a joint victory in October this year, when they both won the Ibiza ITU Long Distance World Series Event in October. The man behind teamTBB is The Bike Boutique Managing Director Alex Bok, and we spoke to Alex about the four years that Stephen and Bella have spent as part of the squad, having been there right from its initiation in late 2006. “Bella and Stephen have indeed been an important part of teamTBB from the very first day, meaning the creation of the team on 2nd of December 2006 in Phuket Thailand. "Both of them have supported the team and vice versa the team them, so it has been what I would call a true win-win partnership. With the formation of Bayliss as a couple, they created a unique alliance in the world of triathlon that even saw them both winning Ironman races as a couple (IM South Africa) and they truly do form a wonderful team together. "There was a growing sense for them and us that “team Bayliss” was big enough with the two of them in it and where teamTBB creates for most athletes a wonderful support structure around them, they already had established that together. "Throughout 2009 and 2010 it slowly became clear that Stephen and Bella were super happy together, created an amazing team structure together and were much less dependent on the teamTBB social structure as the other athletes did. It was therefore only logical that based on mutual consent the Iron Bayliss couple was growing into their own little team and spend their time together travelling the world, exploring new opportunities and will continue to enjoy triathlon around the world. "We wish them the very best and know we will see each other very regular in our Swiss training Leysin base where the Bayliss's also have a home of their own." Stephen and Bella will be splitting their training time between the UK and Switzerland (Leysin, where they have a property). Tri247 also understands that they may also take on a mentoring role with the UK professional development team Team TBC Sports Aid (www.teamtbcsportsaid.com), where their experience with teamTBB should prove invaluable. They are also seeking new personal, bike, wetsuit and shoe sponsors for 2011 and beyond. If you are interested in finding more about those opportunities, please contact us via editor@tri247.com, and we will forward your details to their management team.